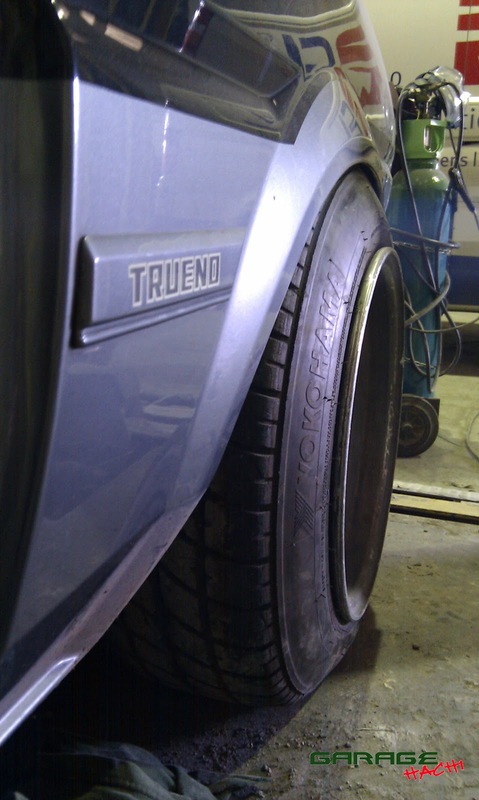 Over a week since I saw my Trueno last, but here is what greeted me on Saturday when I made the long trip to the bodyshop! One of Kevs magical 14x9 -19 offset Watanabes, sitting as a test wheel under the rear of my 2 door. This will be the template for flaring out the rear arches to cover my *new wheels* which are the same size but slightly less extreme -15 offset. 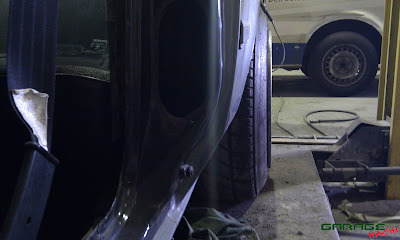 It should be perfect as I will hopefully be able to drive hard without any rubbing but still contain a 195/55 or 185/60 with zero arch gap. 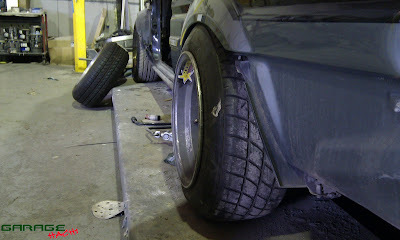 For the front arches, I borrowed one the 14x8.5 -13ish Watanabes. This one was temporarily fitted with a 195/60 for the same purpose, and also as it was a handy brand new (if 13year old) tire we had lying around! 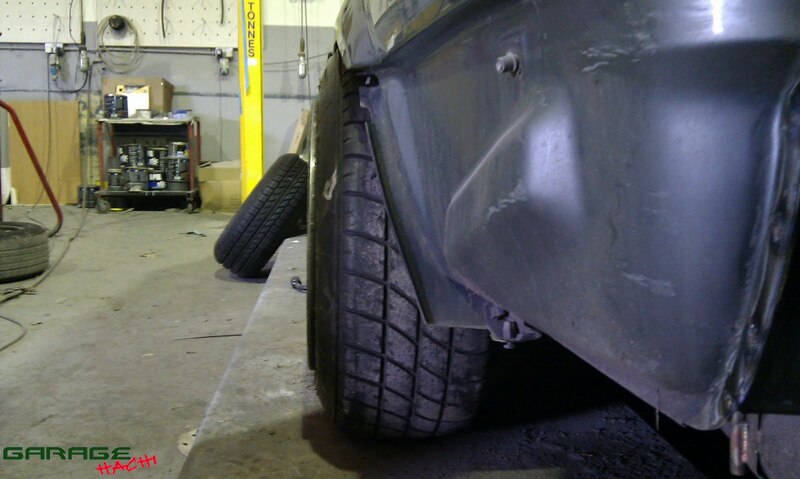 I will probably stay with a 185/55 on the front so again the bigger test wheels hopefully mean just a little more arch clearance and no rubbing! 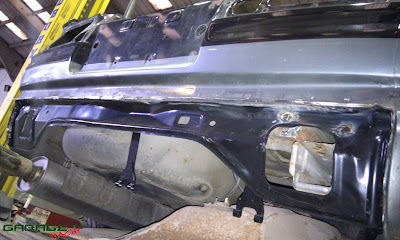 Also that new rear lower panel had arrived from Toyota and was already fitted. 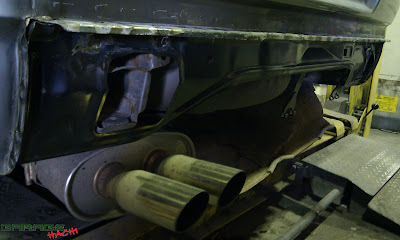 They repaired the lower lip part of the upper panel too which had gone rusty.